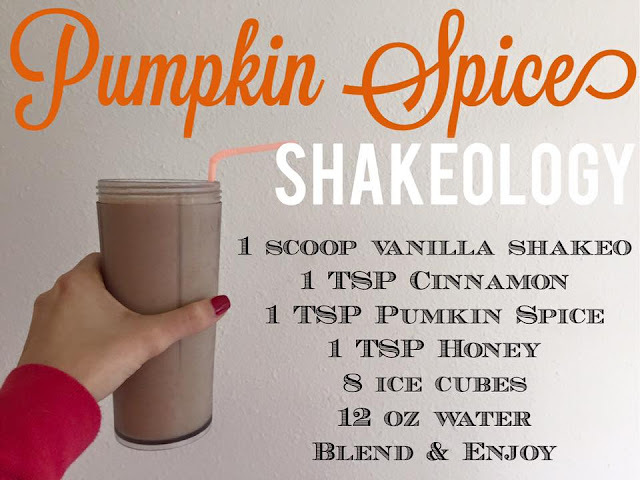 A HUGE reason why I love Shakeology is because it can be so versatile. Honestly, I could drink the same recipe everyday but I am always playing with new flavors for my challengers. This one is pumpkin Spice! Taste like fall in a cup. I refuse to move onto Christmas till after Thanksgiving so pumpkin is here to STAY! 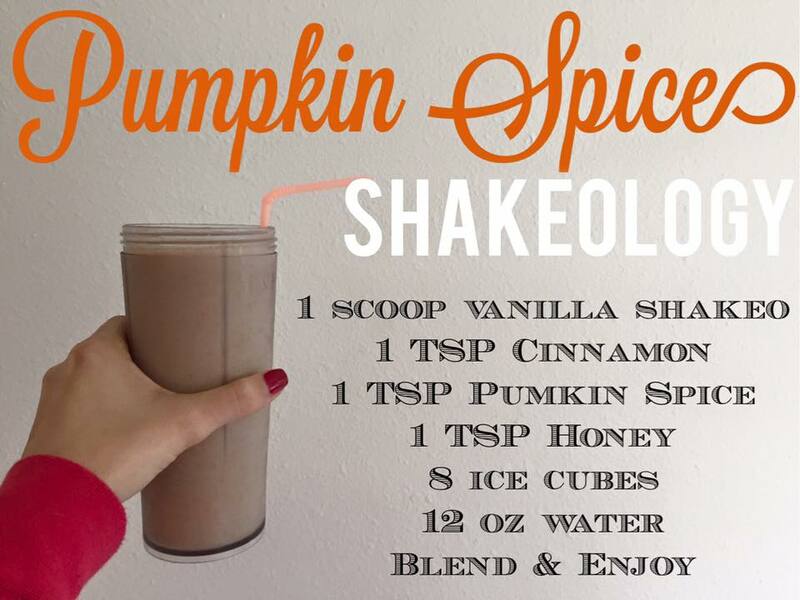 Try this recipe and let me know what ya think, next time (when I have it in the house) I will put in some canned pumpkin! REAL TALK: ARE YOU SERIOUS? How do you feel that you did in 2015 with meeting your health and fitness goals?Lose the weight? Tone Up? Eat healthy 80% of the time? Did you grow internally? You know we still have 9 weeks LEFT of 2015! You have excuses like “It’s too expensive” or “I don’t have time”. Right? I know! Because that use to be me BUT I was wasting money on a daily $4.50 Starbucks latte, gym membership and NOT prioritizing my time. I wasn’t serious about my goals. I don’t know about all that you have going on or what is holding you back. All I know is if you're serious about your health, making a change, finally seeing progress and growing from the inside out; I would find a way to INVEST in you! Do not let money or time be your excuse. If YOU are serious about doing this and finishing off 2015 and starting off 2016 strong, let’s find a way to make it happen. That might mean saving for a month, budgeting, sacrificing some things, asking for certain Christmas presents, finding time in your schedule, finding a program on sale that works for you, etc... We can chat privately about what that looks like specifically for you. 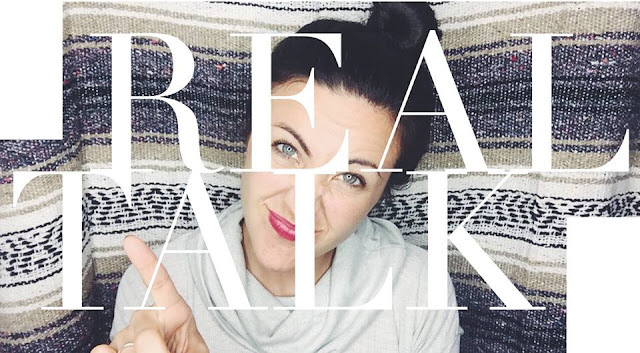 My next online health and fitness accountability group starts November 16th, so we have plenty of time to figure out what will work best for you, what kind of accountability you need and how WE can make this work for YOU. It will give us some talking points to start the conversation. I look forward to helping you and growing right alongside you!! Thank you for letting me be real with you. Even If I am not helping you on any type of journey yet, I want to help you anyway I can and that starts by being a coach and not a cheerleader. I am passionate about peeps meeting their goals and I want to help YOU bridge that gap.